I wouldn't say I was an avid follower of the currency markets, my main interest lies in the strength of Sterling against the Euro, so I know how far my holiday spends will stretch. And I don't claim to know much about cryptocurrency, apart from the Bitcoin has had an up and down ride recently. However, there is a currency I have taken an interest in, but you won't find it trading in the Foreign Exchange Market, you'll have to go to Hull instead! Hullcoin was launched in the city recently, the idea came from research undertaken by the City Council to explore how a local currency could support communites affected by poverty and how to unlock the potential in Hull's economy. The result is a digital currency for the city which will look to benefit the whole community. The "coin" can be earned by individuals who engage with charities and community groups across the city by volunteering and undertaking activities on their behalf. Hullcoin can the be redeemed as discount at participating retailers. For me what is interesting about this scheme is that it works on so many levels. It is looking to pomote social responsibility; community loyalty, and it aims to boost trade for businesses at a local level. David Shepherdson co-founder of Kaini Industries, the company behind the currency, highlights another business benefit "Businesses love discounts because they create footfall, but this is discounting without devaluing the brand" it is a win, win situation. 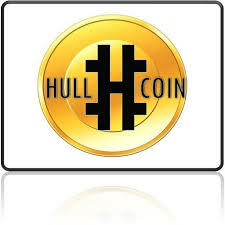 The long-term goal is for Hullcoin to be used as a reward beyond the obvious volunteer roles. The aim is for people to earn them by helping children to read, running youth clubs and arranging activities for older people in the community. Even achievements such as giving up smoking will count, because they reduce the burden on local services. The potential of Hullcoin and the impact on the community is huge and will no doubt be watched closely by other cities around the country. In fact, the Financial Times has already reported that if successful the scheme could be rolled out nationally and it is also attracting interest from continential Europe, the US and Africa. The UK is in desperate need of volunteers as every community relies on them to help run, not only charities, but also public services including libraries, parks and hospital receptions. Maybe Hullcoin will prove to be the incentive people needt get involved in their own community and become known as 'the currency of kindness'.